"Mr. Stone set a watchman in church yesterday. He should have provided me with one. I need a watchman to lead me around and declare what he seeth every hour on the hour. I need a watchman to tell me this is what a man says but this is what he means, to draw a line down the middle and say here is this justice and there is that justice and make me understand the difference. I need a watchman to go forth and proclaim to them all that twenty-six years is too long to play a joke on anybody, no matter how funny it is." Probably most of what you have encountered about Harper Lee’s novel Go Set a Watchman is true. Yes, literature’s beloved Atticus Finch is a racist meeting-attending member of the KKK whose age and bitterness have changed him from the tolerant, understanding patriarch of Scout’s youth. Yes, the manuscript was likely ripped from the secured safes from where it should have stayed for the remainder of Lee’s lifetime as there is likely no way that the frail and ill author could knowingly in her clearest state of mind desire its publication. In addition, the book is nowhere near as likable, moving, or poignant as the beloved To Kill a Mockingbird. “So why read it?” you wonder. Allow me to provide a brief summary, comment on the plot, and then suggest an answer. The novel begins when grown-up Scout Finch returns home to the South after years spent in New York working and enjoying a life of freedom. Met at the train station by her on-and-off-again boyfriend, Scout drives home to Atticus and begins reflecting on her life while watching the scenes pass by her window. Much of the story is told from this retrospective angle: Scout remembers her childhood, her now deceased brother, her admiration for her father, and the way she remembers her hometown as it once was. Years later, however, Scout is unable to resolve the growing racial discrimination and intolerance she sees all around her. Worse yet, her idol-of-a-father, Atticus, has joined the incomprehensible fray. Scout argues with her boyfriend, her father, and rails at the town at large as she futilely attempts to reconcile her home with its inarguable sense of hatred to those they deem as outsiders. Now an outsider herself, she faces the decision to leave forever or try to stay and position herself as a force for good in a world of what feels like overwhelming and increasing evil. The best answer I can offer for coping with conflicting emotions about the two novels is this: Go Set a Watchman is a fantastic example of the under-appreciated value of revision and the power of a good editor. If you have loved Atticus Finch since childhood and To Kill a Mockingbird had a profound impact upon your life, guess what? It still can. Go Set a Watchman is not a sequel. Let me write that once more. 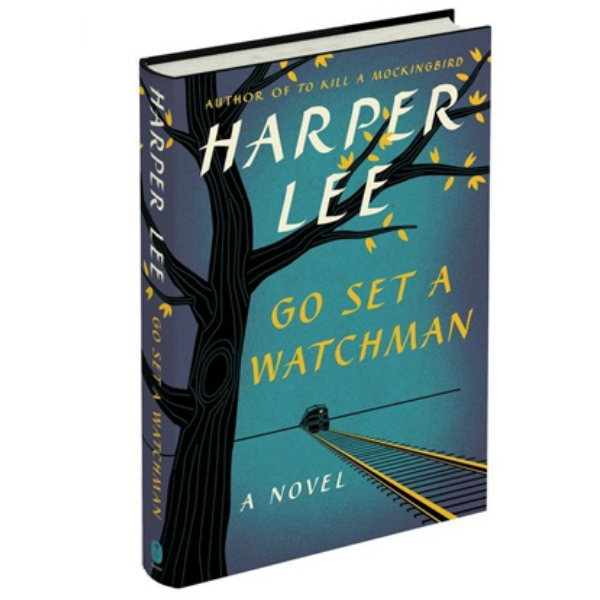 Go Set a Watchman is not the sequel to To Kill a Mockingbird. Guess what this means? It means that the Atticus you know and love is still the Atticus you know and love because though he was once originally poured into the mold of an aged racist in the pages of Go Set a Watchman, that is not how Harper Lee left him. She recreated, altered, and empowered. Atticus was—and still is—the loving, tireless defender of right over wrong because through the editing process that is who he became. The hero walking around the pages of To Kill a Mockingbird is how Lee ultimately sent him off into the world. Atticus’s evolution on the written page represents humanity’s ability to confront prejudices and evolve into better, loving, more understanding men and women; because fictional Atticus did it, then maybe many of those living in the real world can be inspired to do the same. Furthermore, to every struggling author, to every freshman enrolled in first-year composition, to anyone that has ever received a rejection letter—it is OK. Keep trying. The best writers out there revise, and revise, and revise. Two-time Poet Laureate Ted Kooser once said each of his poems go through as many as forty or more separate drafts. Editing is your friend. Just because someone encourages you to try again does not mean that they hate you or your writing. As incensed as I feel towards whomever strong-armed Harper Lee into releasing and publishing this manuscript for their own financial gain, I feel equally emotional towards the original editor—whomever he or she may be—who first read the draft of Go Set a Watchman and told Lee to keep writing, that the best parts of her manuscript were the moments when the readers get to see Scout’s childhood in flashback, and that those gems were worth rewriting and reconsidering. Bless Lee for confronting a blank page, reconceiving Scout and Atticus Finch, and turning Go Set a Watchman—a rather forgettable plot of its own accord—into To Kill a Mockingbird, one of the most important American children’s novels of the twentieth century.